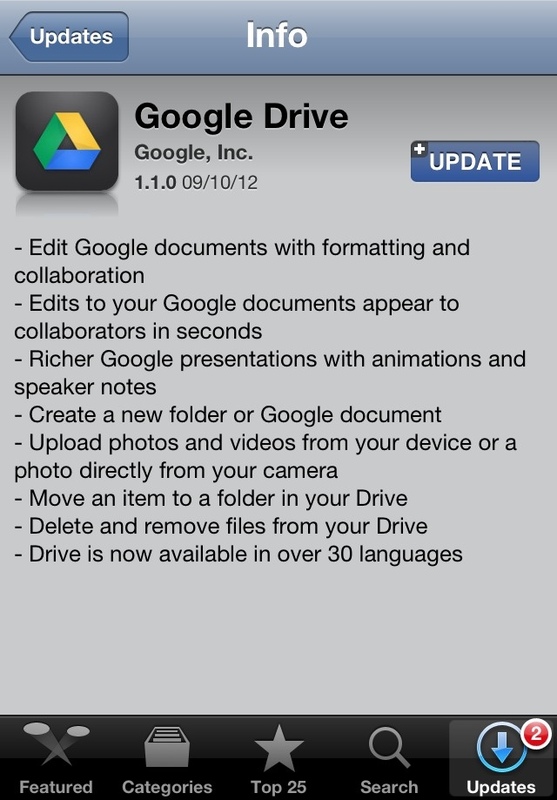 Google released a pretty praise worthy update for its Google Drive apps today. 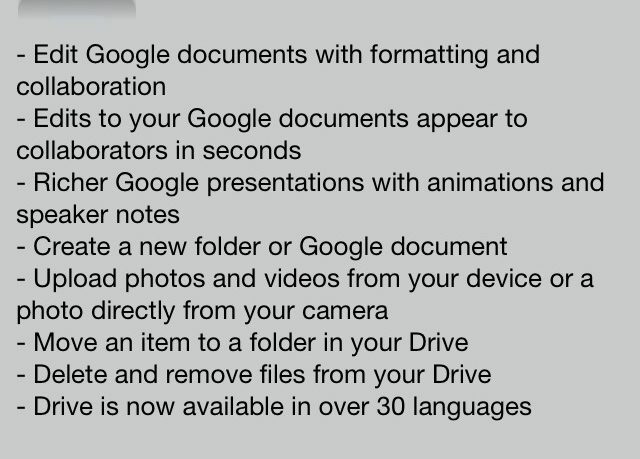 The most notable features being document editing and text format on the iPhone and iPad. They have also added the ability for users to see live changes made by other collaborators along with presentation viewing with speaker notes. Google Drive for Android got a few perks as well with the ability to see comments on your documents along with replying to them. There is also some news that there may be the promise of real time updates for spreadsheets coming soon. Some of these updates are subtle, but it definitely keeps Google above the pack. All I can say is – bring on the productivity.